Elite Landscaping is one of the first landscaping companies in the state to incorporate sustainable initiatives. 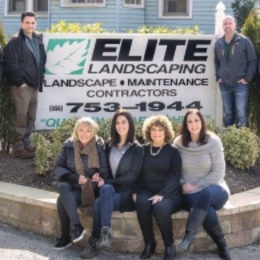 ELITE LANDSCAPING BEGAN WITH TWO BROTHERS OVER 30 YEARS AGO AS A SMALL LAWN MOWING BUSINESS and has since transformed into a full-service landscaping company offering landscape maintenance, tree and shrub care, irrigation and drainage, snow and ice removal among many others. More recently the company created a “Go Green” division to focus on sustainability both for their business along with client projects. Elite is one of just two landscaping companies in the state to be registered as a New Jersey Sustainable Business, which entails businesses to incorporate sustainability and continue to improve sustainability measures in their field. The sustainability aspect of Elite is one of the key separators when it comes to their competition. This is a way homeowners can effectively contain and treat storm water runoff from their property and keep pollutants from storm drains. The water is managed in a beautiful garden filled with native plants, allowing it to filter and replenish ground water. “A rain garden is specially designed based on the amount of runoff it’s going to manage. If you have a 2,000-square-foot roof, the rain garden is designed specifically to manage the amount of water that would run off of that roof in a given storm,” Feast says. Incorporating edible plants—tomatoes, lettuces, herbs, among several others— within the landscape design is another sustainable alternative. Feast says home- owners can mix these edible plants within the ornamental plant design. You can create a dense garden bed that saves you money at the grocery store. Having a sprinkler system that isn’t efficient or has an outdated clock system can waste a lot of water (and money), so installing an irrigation system with an updated timer can improve sustainability. The most efficient timers are Wi-Fi connected to the closest local weather station, such as an airport if it’s nearby, and use the weather predictions for water conservation. 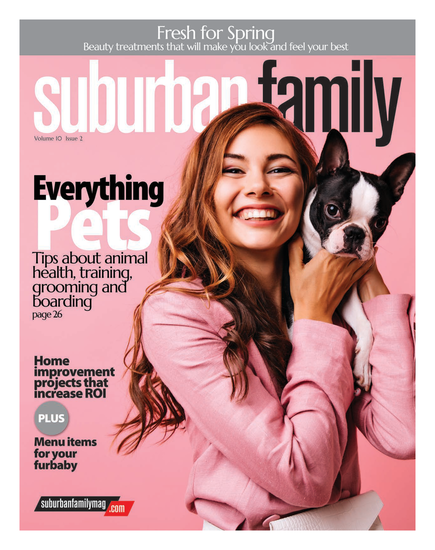 “If it’s going to rain in the afternoon, you don’t want your irrigation system to run in the morning because you’re just wasting all of that water,” Feast says.